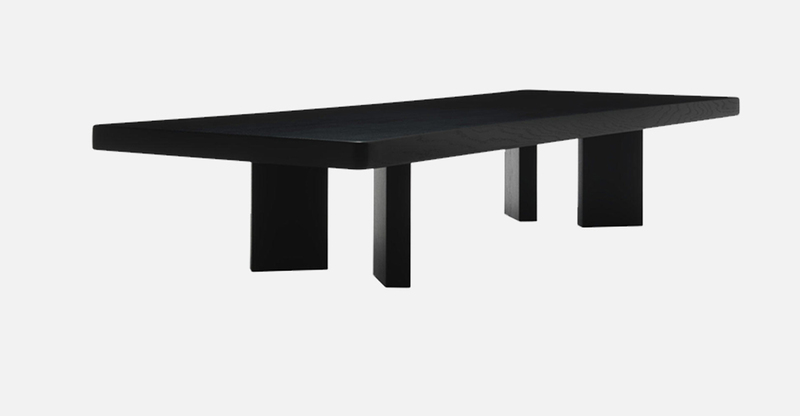 Low table in matte black painted woodor in solid wood oak stained black or american walnut. 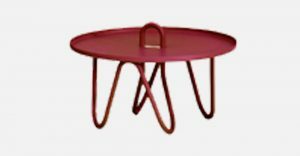 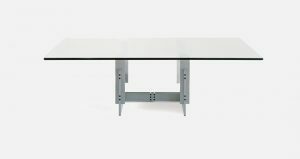 The thickness of the top and its concave edge strongly characterise the model in formal terms and create a surprising sensation of lightness. 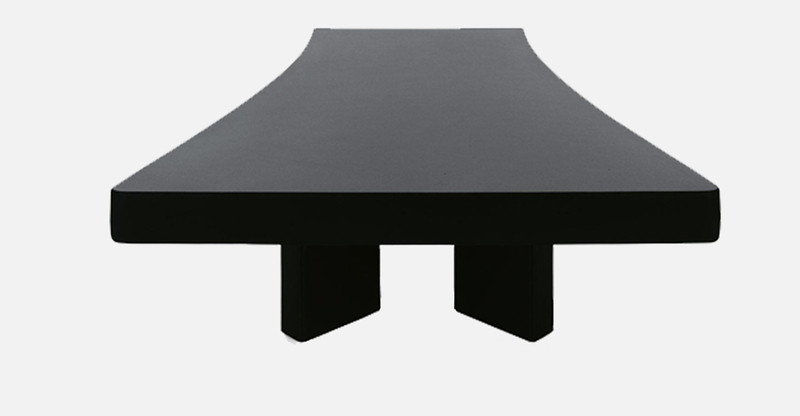 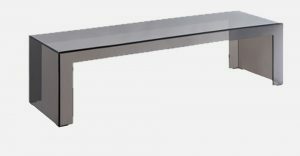 Designed for the Paris Japanese Embassy in 1969 this coee table is a triumph of technological and formal synthesis.